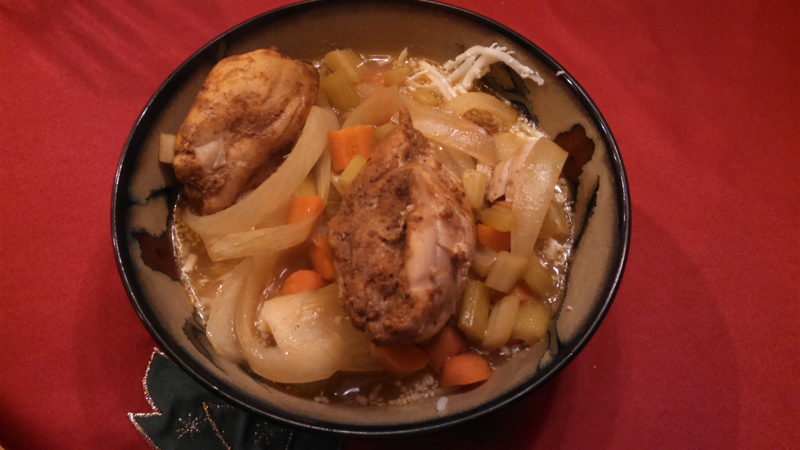 Sarah Fragoso’s Everyday Paleo Slow Cooker Curry Chicken is one of my favorite crock pot recipes. It is so so tasty! And who doesn’t like a good crock pot meal?! Credit goes to Sarah at everydaypaleo.com. Mix all of the dry spices together in a small bowl. Place the chicken thighs in the slow cooker and pour the spice mixture over the chicken thighs and toss together until all of the thighs are coated with the spices. Sprinkle the minced garlic over the chicken and then add the onions, carrots, and celery. In a small mixing bowl, whisk together the coconut milk and the chicken broth. Pour the coconut milk and chicken broth mixture over the top of the chicken and vegetables and cook on high in the slow cooker for 4 hours or on low for 6-7 hours.